An AI-powered robot in China has not only passed, but exceeded the national medical licensing exam. Experts generally agree that, before we might consider artificial intelligence (AI) to be truly intelligent —that is, on a level on par with human cognition— AI agents have to pass a number of tests. And while this is still a work in progress, AIs have been busy passing other kinds of tests. Xiaoyi, an AI-powered robot in China, for example, has recently taken the national medical licensing examination and passed, making it the first robot to have done so. Not only did the robot pass the exam, it actually got a score of 456 points, which is 96 points above the required marks. This robot, developed by leading Chinese AI company iFlytek Co., Ltd., has been designed to capture and analyze patient information. Now, they’ve proven that Xiaoyi could also have enough medical know-how to be a licensed practitioner. Local newspaper China Daily notes that this is all part of the country’s push for more AI integration in a number of industries, including healthcare and consumer electronics. China is already a leading contender on the global AI stage, surpassing the United States in AI research, in an ultimate effort to become a frontrunner in AI development by 2030. The country’s determination, driven by the realization that AI is the new battleground for international development, could put the U.S. behind China in this worldwide AI race. With both governments and private companies intent on putting AI to good use, one of the first fields in which AI technologies are being applied has been medical research and healthcare. Most are familiar with IBM’s Watson, which has made significant headway in AI-assisted cancer diagnosis and in improving patient care in hospitals. Then there’s Amazon with the Echo and AI-powered virtual assistant Alexa, which has been present in the healthcare field for a while now. Similarly, Google’s DeepMind Health is working on using machine learning to supplement healthcare processes in the United Kingdom. In the same manner, iFlytek plans to have Xiaoyi assist human doctors in order to improve their efficiency in future treatments. “We will officially launch the robot in March 2018. It is not meant to replace doctors. Instead, it is to promote better people-machine cooperation so as to boost efficiency,” iFlytek chairman Liu Qingfeng told China Daily. Concretely, iFlytek’s vision is to use AI to improve cancer treatment and help to train general practitioners, which China is sorely in need of. “General practitioners are in severe shortage in China’s rural areas. We hope AI can help more people access quality medical resource,” Qingfeng added. 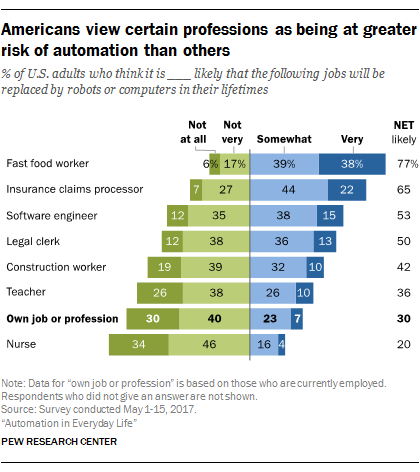 In short, there’s no need to fear an AI takeover in the medical field, even though many worry that such advances will eliminate human jobs. In this case, it is quite the opposite, because this AI will work to augment the capabilities of its human counterparts instead of replace them. So, at least for now, you don’t have to worry about being referred to a robot doctor.